BHS Class of '67 Classmates, plus members of Faculty and Staff from the 1967 era at Ballard (our very Special Guests of Honor at all of our reunion activities) and those who could not attend are invited to sign the guest book, write a message board blog, and send us new pictures. Be sure to send us updates and information about yourself and your family in the Our Classmates and Photo Album sections. Please sign the guest book. Bookmark this page and check back often for changes! Scroll down for vintage map of our school district plus interesting links. If you have any trouble using this site or if information or photos you try to send just don't show up, contact Bob Christianson through the Contact Us page. Thank you. Ballard Community's Website tells that "The Ballard Community School District encompasses approximately 85 square miles, with a district population of almost 7000 residents. The communities of Cambridge(click), Huxley(click), Kelley(click), and Slater(click) came together in 1957 and formed the Ballard Community School District. The first graduating class was 1959. The name Ballard is derived from a creek that once flowed throughout the District. Ballard Community School District is located in the "Golden Circle" 10 miles south of Ames and 20 miles north of Des Moines. Its location provides the opportunities of small town living while enjoying access to metropolitan activities." 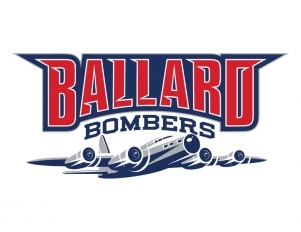 CLICK HERE for Today's Ballard Community Website!